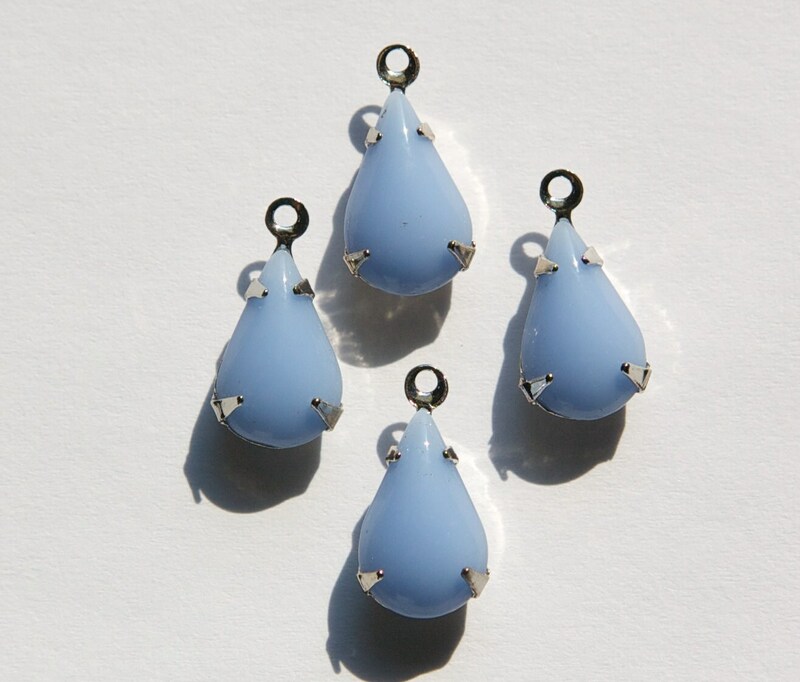 These are vintage opaque periwinkle blue glass stones set in a one loop silver plated setting. 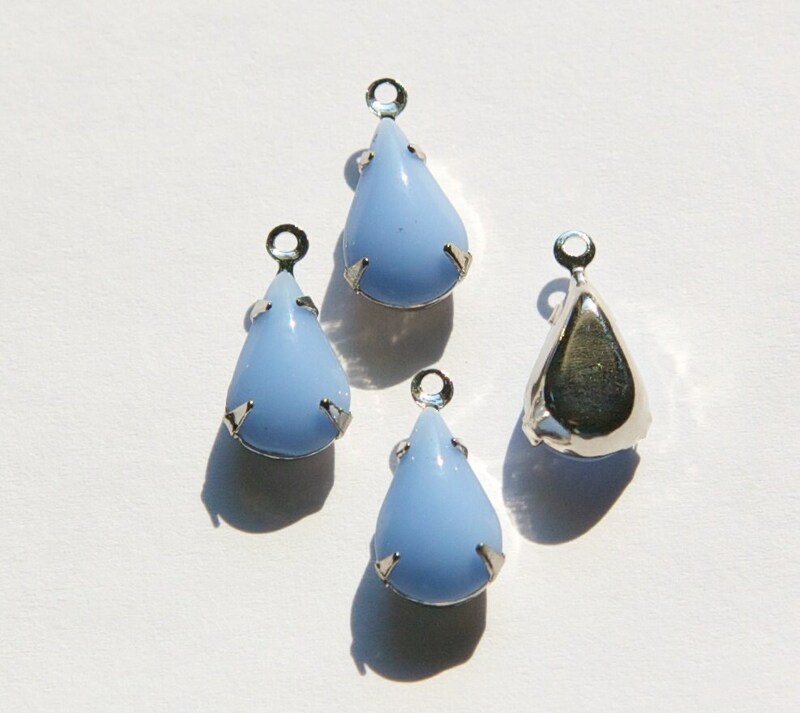 The stones measure 13mm X 8mm. You will receive 4 of these. Thank you so much! I have purchased from this seller before and they have always been great. The package came much sooner than expected. All items as described. Perfect and on sale too. Thank you for the sale and for a very pleasant etsy transaction.